← The Sports Archives – The Best Football (Soccer) Leagues In Europe! The Sports Archives – A Beginner’s Guide To Canadian Speedway! Speedway is the exciting new sport taking Canada by storm. Here’s everything you need to know, from what speedway is to where you can see it. Canada is known for its mounties, moose, maple syrup and, if the Canadian Speedway Racing Association gets its way, motorcycle racing. Speedway racing is a fairly new sport, and is currently taking Canada by storm. People are passionate about the race, and the sport has its own distinct culture full of hobbyists and historians interested in the development of speedway through the ages. With news that a huge speedway track has been given the go-ahead in Fort Erie, there’s never been a better time to learn about speedway. If this is the first time you’ve heard about Canadian speedway, then this guide is the place to start. Speedway is a type of dirt track racing, featuring stripped down motorbikes racing around a narrow packed shale track shaped like an oval. The bikes are especially designed for racing, much like a Formula One car: you wouldn’t see a bike designed for speedway racing on a public road. The bikes are designed to go from 0 to 100km in under three seconds: but have no brakes, rear suspension, and only have one gear. The bikes also run on methanol instead of gas, as this lets them run faster. It’s important to remember the two minute rule: if the rider takes longer than two minutes to get to the starting line, they’re disqualified. Races are known as “heats” and involve four riders racing four laps from a clutch start. Although speedway is a fairly new sport to Canada, it’s actually been around since the early 20th Century. The sport began in the cities of the UK and Europe, and six figure crowds would gather to watch. By the 1990’s the sport had made it across the pond, as entrepreneurs started to set up speedway tracks across Canada and the USA. Canadian speedway has really taken off in the past few years, with more people becoming interested in the sport after a successful 2006 season. Unlike many professional sports, speedway is actually very easy to participate in. Most speedway racing websites have pages dedicated to new riders, telling them what they need to get started and in some cases even offering lessons. 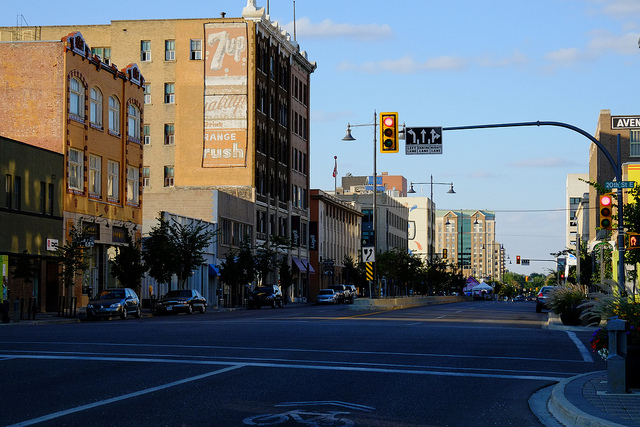 One of the biggest players in Canadian speedway is Bridge City Speedway, in Saskatoon. If you want to watch a race it’s worth booking into a hotel in Saskatoon early, as the speedway draws visitors from across the country. Bridge City Speedway not only hosts speedway races, but also hosts a number of other vehicle races such as NASCAR. The Paris Speedway in Ontario is another big player. If you’re interested in becoming a rider, it’s a must-visit: they run classes and teach newbies how to ride speedway bikes. Don’t forget your Kevlar bodysuit. The friendly and inclusive subculture that surrounds speedway can be seen by the many Facebook pages and amateur racing research sites based around the globe, which demonstrate that speedway is a serious hobby for a lot of people. If you want to learn about the culture of Canadian speedway, the best way to do it is to dive right in. Go and see a race, learn about the riders, and maybe even jump on a bike yourself. You never know, you could be the next star of Canadian speedway. Iain Aitchison is a travel and culture blogger. Although based in the UK, Iain regularly makes international trips and documents his travels into useful travel guides. He enjoys writing about international travel, sport and culture. Looking For A New Sport To Follow? 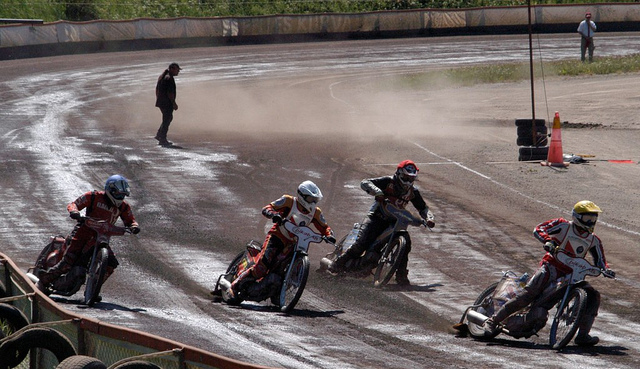 Speedway Racing – What’s It All About? This entry was posted in Motorsports and tagged Bridge City Speedway, Canada, Canadian Speedway Racing Association, dirt track racing, Kevlar bodysuit, motorcycle racing, motorsports blogs, NASCAR, ontario, Paris Speedway, Racing, racing cars, saskatoon, speedway, sports and leisure, sports and recreation, Sports Archives, Sports Blogs. Bookmark the permalink. 1 Response to The Sports Archives – A Beginner’s Guide To Canadian Speedway!